School of Fish: Our family is growing!!! Sorry, that title may have been a little deceiving... Our immediate family is not growing, but our missionary family is!!! When you live together, work together, worship together, teach each others kids, and celebrate all holidays and birthdays together, I think it is safe to call each other family! We recently had an experience that even more solidified this bond. On Sunday morning while we were picking up some of the GSF kids to take them to church, I got a phone call that was so exciting! 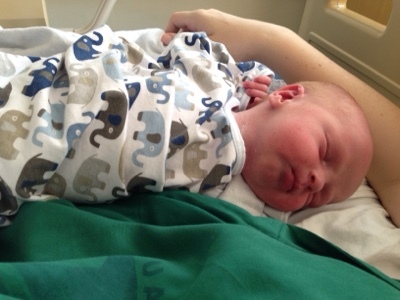 Katie Fox, my amazing friend who coordinates the programs for children with special needs here at GSF was in labor. I asked David if I could go see what I could do to help and he could take the kids to church. He graciously agreed and offered to do whatever they wanted for us to do to help. After talking with Katie and Cody and finding out that the nurse friend who was going to go to the hospital was unavailable at the time, I offered to go help in any way I could. They agreed to let me come along, and I was thrilled to get to encourage my friend and sister as she walked through the challenges of bringing a baby into this world. In the end she had to have a c-section, and since I have had plenty of experience with that, I was glad to be there to encourage and support her. Only her husband was able to go into the "theater" as they call the operating room here. Another couple from our team, Daniel and Corinne Iya were driving through Kampala on Sunday and came to the hospital and even stayed overnight nearby to help out with errands and mostly waited for hours in the waiting room. It makes you feel so loved when people go out of their way just to be available and nearby. Of course they were also excited to see the baby, but the moral support it provided Katie and Cody was wonderful! 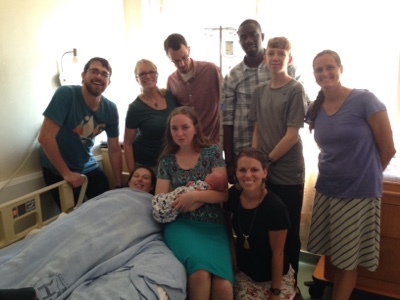 The next day Mark and Amy Gwartney and their kids came to the hospital on their way back from dropping off visitors at the airport in Entebbe. Claudia was often inquiring via text message about baby and mama. Our team had a group text message to keep everyone updated. It was great that for various reasons so many of us were in Kampala to be able to welcome this precious baby into our missionary family. It was another time that really bonded us together. When I arrived home, I had a little time to greet my family and then get ready for our dinner together. 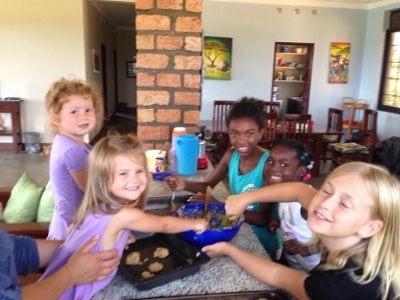 This family has been living in another part of Uganda, but for a variety of reasons, they were looking to move. As I talked with them about their children, I realized that they have some children similar ages as some of mine. As soon as the children got together, they immediately hit it off. 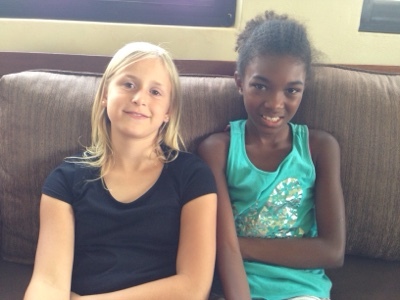 Esther and the 11 year old girl were giggling together and created a language together on their first day meeting. Ezra and their 9 years old son had a blast playing together. Ezra said, "We can both wrestle as hard as we want and no one has to let up and no one cries!" In Ezra's mind there is probably not any better complement. The boys weren't still long enough to get a photo. :) The family has 6 children and each of them seemed to connect with some of the missionary kids here. We invited everyone up to our house for a marshmallow roast so they could all get to know one another. It was a wonderful time! This expansion of our school brings us to the last part of our missionary family growing! We have been praying for a long time that God would send another teacher to work with us. As we have seen the growing need for our school, we have prayed and discussed with others and felt the Lord directing us to open our doors wider. When we began realizing that we were going to be doubling the size of our school, I had a few moments of panic. But very soon, God graciously provided an amazing young woman named Misti who has visited GSF before, and now wants to join us teaching this school year! We have gone through the application process and officially invited her to join us, but she still needs to raise support and do some training with the Global Outreach home office. Please pray with us for Misti's support to come in quickly so that she can join us as soon as possible! It is amazing that all of this is coming together at once! It seems like God is just lavishing his blessings right now! Thank you all for your prayers and encouragement in the times of waiting as well as the times of celebrating!